The Starship Discovery Holiday Club blasts off into space to explore five characteristics of Peter -- fisherman and disciple. The material also introduces five qualities common to Christians today: the willingness to turn to Jesus, to trust him and to be transformed, the humility to ask for forgiveness when we trip and the willingness to train for the journey ahead. 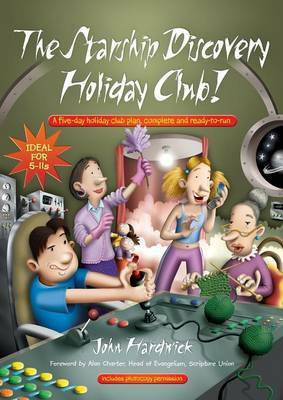 Using John Hardwick's winning mix of songs, warm-up activities, drama, crafts, games, puppet sketches, Bible narrations, quizzes and fun-sheets, the material offers five sessions plus ideas for a special evening or all-age service as a conclusion to the holiday club itself.